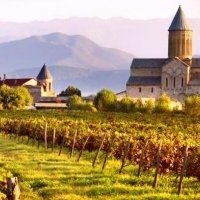 Kakheti is known as the region of the vine and with good reason. Unique and award winning Georgian wines and brandies are produced here. 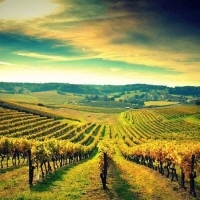 It is also believed that the very first wines were made in Georgia thousands of years ago. Kakheti is situated on the plains of the rivers Mtkvari and Iori and is surrounded by the North Caucasian mountain ranges. The Kakhetians are hard- working people. When visiting the Kakheti region, at jovial and hospitable feast tables, you can listen to delightful polyphonic Kakhetian songs. It should be mentioned that the song "Chakrulo", can be listened to by creatures from alien planets, if they actually exist. This recorded song, along with other sound signals, was sent into space, to assist alien civilizations to have an impression of life on our planet. Kakheti is an ancient region rich in historical monuments. For example, the fortress city from the 4th century, Nekresi, a complex of the David Gareji monastery caves (6th cent. ), the monastery city Shuamta (6th-7th cent. 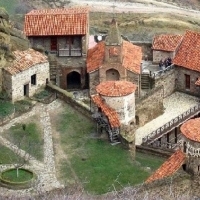 ), and Alaverdi, built in the 11th century. There is also Ikalto monastery, where, in the 12th century, one of the world's oldest higher education institutions, Ikalto Academy was founded by King David Agmashenebeli. 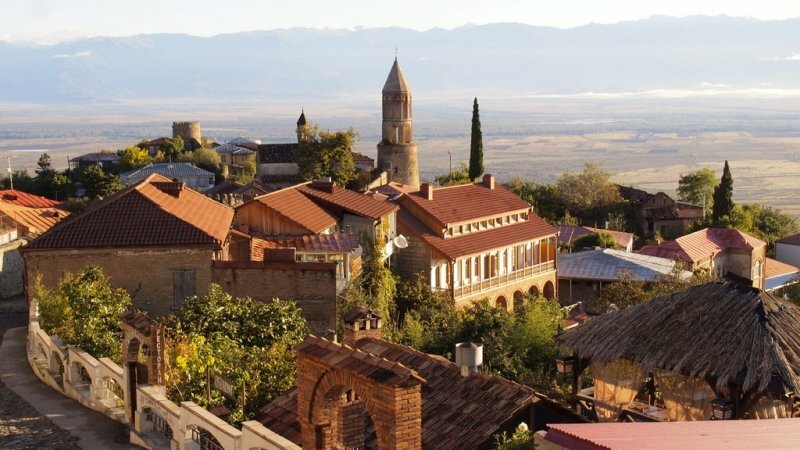 One of the most important towns of Kakheti is Telavi. It was founded in ancient times, and was mentioned by the Greek geographer Claudius in the 2nd century B.C. 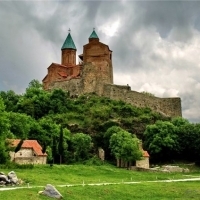 There are many interesting museums there and some medieval churches and three castles have been preserved in Telavi. In Kakheti, there is a small, but one of the most beautiful towns, Sighnaghi, with its unusually peculiar architecture and spectacular views of the Caucasus range. You will be much impressed with the Rtveli, i.e. harvest, in Kakheti. It is the period of grape gathering, and wine producing. Farmers finish this season with feasts and merrymaking. All guests are welcomed with great respect during this period.